[UPDATE] Just now I finished download the game for the nth time.. this time the “current went off” only twice throughout the download, although I expected it to not work like all the previous times. I was staring at the “loading please wait” screen that comes before the installation starts(after which the error is usually shown) and after minutes of non blinkage, I was surprised to see that even after having 2 abrupt cut offs, the download started installing. This is just great with one of the best timings, because now I dont need to buy the Rs.800/- worth Standalone version that has been released, and neither do I have to spend Rs.600 extra (an alternate plan that I thought up of) to increase my Internet’s bandwidth by twice and download again, trying for complete download with no power cuts. Let us just hope so. OMG Ratchet and Clank ? 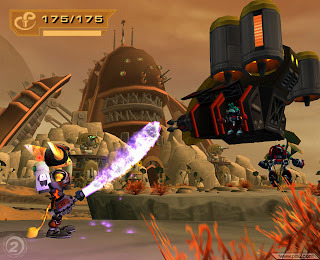 I have been a big Ratchet and Clank fan ever since I first played the game. I always tried my best to get all the games ever released and play them (never cared for the Mobile ones though). You could say one of the biggest reasons I even bought a PS3 (and DS3) was Ratchet and Clank. So, yeah I think you got the picture. Recently “Age of Booty” a small expansion pack to Tools of Destruction was released on PSN. I knew that I would get it the instant I saw the announcement at E3 ’08. But never did I imagine that getting it would be that difficult. With my friend’s help I was able to get game from HK PSN store. After seeing its size was a whopping 2.8 GB, I told to myself “oh well, its only 24hrs of downloading“, I was casual about it,because I was (and AM) playing GTA IV, which I know will easily take me more than 24 hrs to play, so I can always have the game download in the BG, hence not wasting much electricity. So I start the download and then start playing GTA IV, what do I see after a 2hr session? the percentage had not increased at all. After a bit of googling, I found out that GTA IV on PS3 doesnt support background downloading (unlike MGS and many other games). What did this mean ? well, now I had only one option.. turn on the PS3 “not for gaming” and just leave it like that to download stuff. becasue GTA IV is the only game I will be playing till I finish it. Well, first of all, leaving the PS3 turned on for hours together, with no A/C and that too in a closed room is just too risky. Also, it feels like unnecessary current waste. Well, I started watching movies on the PS3 just so that I can download things while watching movies, so there is atleast something got from turning it on (also that I will be using A/C when there). This time I realize another thing..
You cannot BG download when you are watching DVDs/BDs on PS3..
WoW, just what I needed Luckily , I have a lot of Anime and movies burnt on DVDs, and luckily PS3 supports them, so I started watching them. What is this you ask? well, its a fatal error, where “Re-Download” is the only option. I’ve googled for it earlier, while trying to solve the problems of people in forums, but never actually faced it. Why did it happen? well, it was because of the “power cuts” that were happening whenever I was downloading. There is this problem in the PS3 where downloads get corrupt if there is a power cut when you are downloading the file. I remember very well having power cuts while downloading demos, months ago, but never faced the problem till this time. Maybe its one of those “new features” that the constant firmware updates bring up. Well, just like any other fan would do, without a moment’s thought, I started the download again..Not once, but 5 times! After observing all this, I started downloading only at nights, as per my friend’s recc. power cuts are almost null at night times (you know, cause everyone sleeps and uses nothing electric) After a few nights of atleast 4 hrs download each, I reached 1.5 GB.. But as fate would have it “Current Wala” always waits for the right moment. It being the time when you can feel sad the most. As there was once again a very unexpected powercut @ the 1.5GB mark late at night, where I practically went mad. How much time was wasted? In my 256K Internet speed (yeah, its another one of those “developing nation” thing) it takes me almost 50mins to download 100 MB. So thats around 4 GB of download that takes up easily 35+ hours of download. So I’ve spent that much of time trying to get the thing working and its still not done, however, just in hope of current not going off again, I started downloading it again. Well, First of all, people would say “buy a UPS”, The thing is that spending so much money on getting only this download done, is a pretty, non economical solution IMO. I would rather rely on my luck than to spend more money to get it. As for everything else I will download after this.. I am guessing it will be under 1 Gb which I think luck will allow me to download. 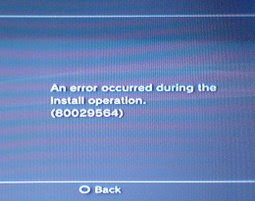 Seeing how frequently we get PS3 Firmware upgrades, I can only sit and wish that in the next upgrade they fix this problem. I mean, Sony cares about its customers.. right? no matter how much of a minority they are. Seeing that it has not been fixed till now (it seems the problem was there since many months) I feel we are being ignored. Oh yeah, definitely.. once it comes out in India, with a proper (i.e not Rs.1499/-) price tag, I will be first in line to buy it. Well, hope it happens sometime soon, seeing that the UK release has been cancelled and the EU release is not known right now. Nope, I dont think that is going to happen soon.